Courtesy of PACE REAL ESTATE ASSOCIATES, LLC.. Spectacular Views and wonderful space in this R. L. Beyer custom design with many outstanding features. This home boasts 3 fireplaces, built-in-cabinets, library, theatre, family room with mini kitchen, and an elevator! An abundance of outside space to enjoy; covered porch and deck. Private lot and 10 minutes to downtown. Design offers many flexible spaces to be used according to Purchaser's needs. Directions: From Charlottesville go east on 250 to left on Hansens Mtn. Rd. (just prior to 64 interchange), left on Lego Dr. to Summit Ridge Trail, right on Summit Ridge Trail, house is 3rd on the left. 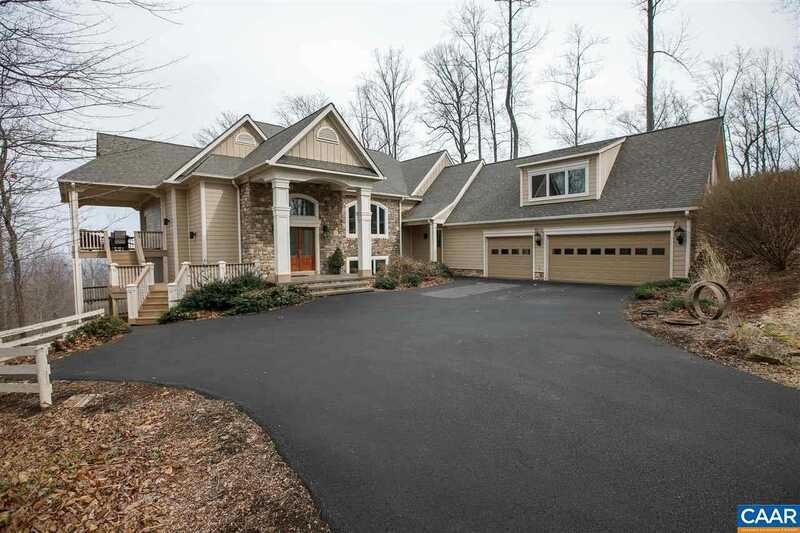 Please, send me more information on this property: MLS# 585082 – $1,699,000 – 2515 Summit Ridge Trl, Charlottesville, VA 22911.